Ronald Lee Cade, MSGT, U.S. Air Force (Retired), passed away Tuesday, August 28, 2018. Service: 10:30 a.m. Tuesday September 4, 2018 at Western Hills Church of Christ. Committal with military honors: 2:30 p.m. at Dallas-Fort Worth National Cemetery. Memorials: Ron had a special interest in the Tarrant Area Food Bank. The family request that anyone wishing to make a memorial gift in his memory, to consider that service. Ron was born to Ralph and Velma Cade on March 6, 1938 in Phoenix, AZ. He was one of eight children. After graduation from Odessa High School he enlisted in the United States Air Force. He was stationed at Dyess AFB in Abilene for 5 years, where he met and married Dahlia Davis. They celebrated 57 years of marriage on May 5, 2018. His Air Force career span 23 years, including tours in California for15 years, Vietnam for a year and Okinawa for 3 years. His job descriptions included B-47 jet engine mechanic and Titan I missile mechanic. In 1965, Ron cross trained into the field of photo interpreter and spent the remainder of his career in reconnaissance fields including the Defense Mapping Agency. Ron was one of those people, who never met a stranger. 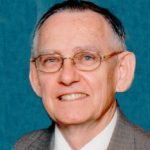 He formed many lifelong friendships through his service as a Christian, and served as a deacon in several Churches of Christ. Other close friendships were formed in his hobbies of fishing and hunting, and he cherished every friendship. He was preceded in death by sisters, Ann Cade, Phyllis Glenn and Georgia Jackson. He is survived by his wife, Dahlia; sons, Brian Cade and wife Ronda of Fairbanks, AK and Gary Cade of Searcy, AR; brothers, Charles Cade and Bill Cade; sisters, Marlene Martin and Ginger Daniel; his mother-in-law, Voncille Estes; sister-in-laws, Marsha Brown and husband Scott, Rosemary Doyle and husband Roger, Rena Cabla and husband Gene, Wanda Davis and brother-in-law, Eddie Davis; four grandchildren, two step-grandchildren, two great-grandchildren; and was “Uncle Ronnie” to many nieces and nephews.